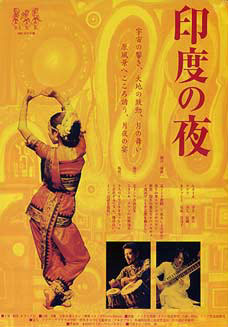 KAZUKO Yasunobu is one of the disciples of the legendary late Guru Padmabibhusan Kelucharan Mohapatra. 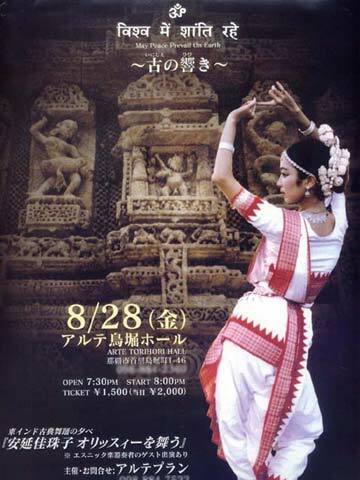 She has been the only Japanese disciple recognized as the prominent student of "Srjan" since 1993. 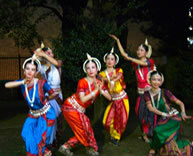 She visits Orissa every year to learn more. 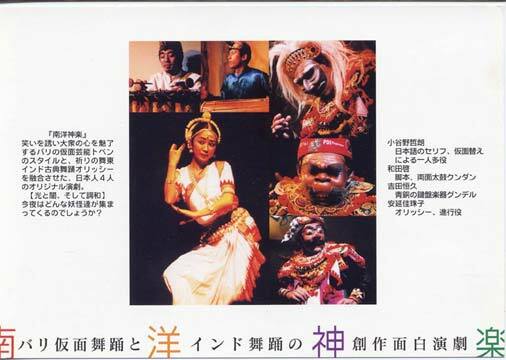 Since she got the permission of solo-performance in 1996, she has performed with great successes not only in Japan but also in New York. 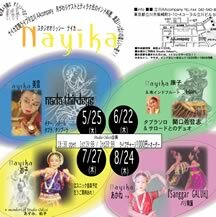 KAZUKO is faithful strictly to Guruji's style which is famous for graceful movement, fascinating expression and technical perfection. This brings people's notice to her dancing performance. 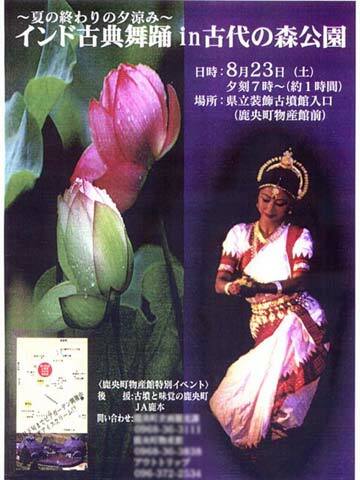 Furthermore, under the concept of " the Unity with the Universe by Feeling Nature", she has been made perfomances gladly both at Shinto shrines and at Buddhism temples in more than thirty places. 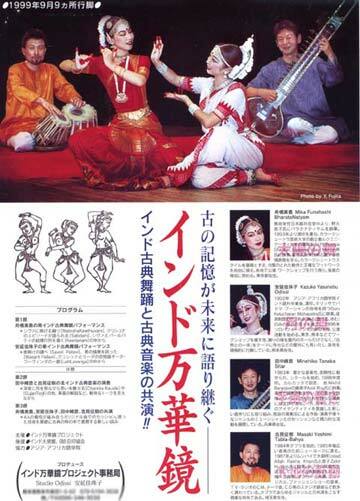 KAZUKO is not only providing lessons in Tokyo, Kumamoto and Fukuoka as the organizer of "Studio Odissi" in Japan, but also producing several own original performing units. 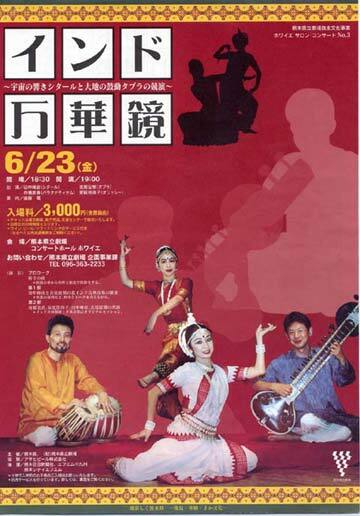 Particularly, "The Kaleidoscope of India" consists of 4 Japanese artists who are an Odissi dancer, a Bharatnathyam dancer, a sitar player and a tabla player, and they have been got admiration in every performance. 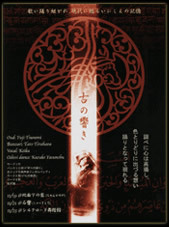 In 2002, she was invited to "Interenathional Mega Consert" and was success in performing at the College Auditorium in NewYork, USA. 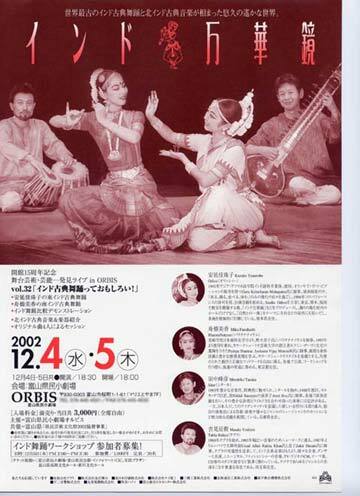 In 2005, performed at Bhunaneshwar orissa,India"Meg Utsav"